On a very hot and sticky Sunday afternoon Sue and I attended the Bury Agricultural Show. My recollections of the last couple of Shows are of being drowned in torrential downpours. This year the sun was shining and I am pleased to say their were good sized crowds. think what makes the Show such a success is that there is something for everyone. As well as the livestock there are the arts and crafts, there is the funfair there are lots of displays and stalls. There is also a dog show with a wide variety of classes. There are classic cars and hotrods on display too. Incidentally, when people ask me about what the Big Society is all about I think the Bury Agricultural Show is a great example of what a group of volunteers can achieve who want to do something for the good of the community without expecting any reward. Next weekend will see a similar event albeit on a smaller case with Music in the Park in Tottington. In the main ring there was a number of displays including falconry, the Holcombe Hounds and a demonstration of side saddle riding. 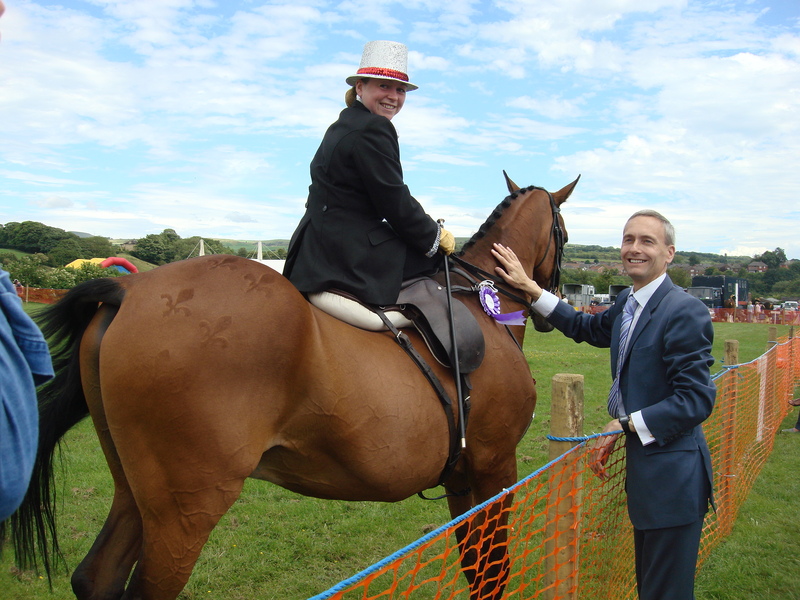 I was asked to present a Special Rosette to one of the side saddle riders Helena Pixton who was riding her horse King Creole for the final time in competition after 21 years together. The Horse is now 25 and Helena has decided the time is right to let Harry as King Creole is better known to have what everyone hopes is a long and happy retirement. 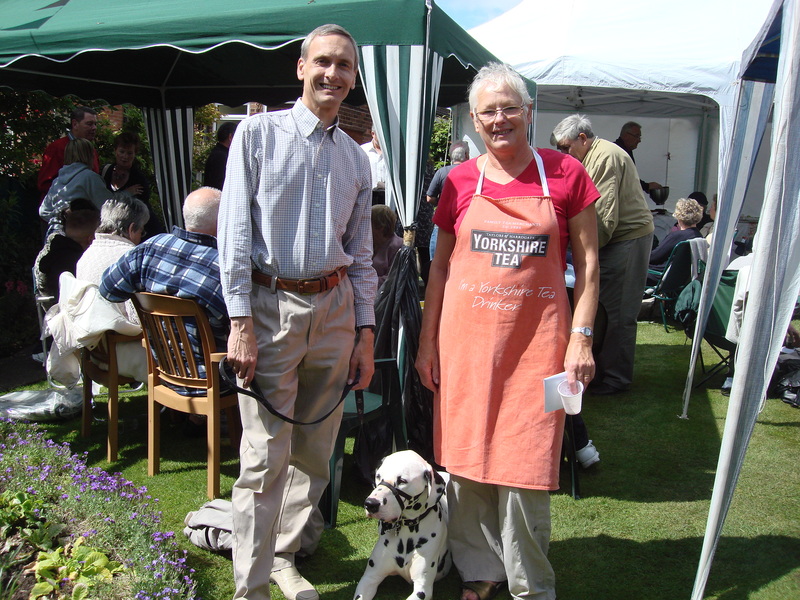 This afternoon Sue and I attended a Strawberry Tea at the home of David and Evelyn Haywood in Bury. 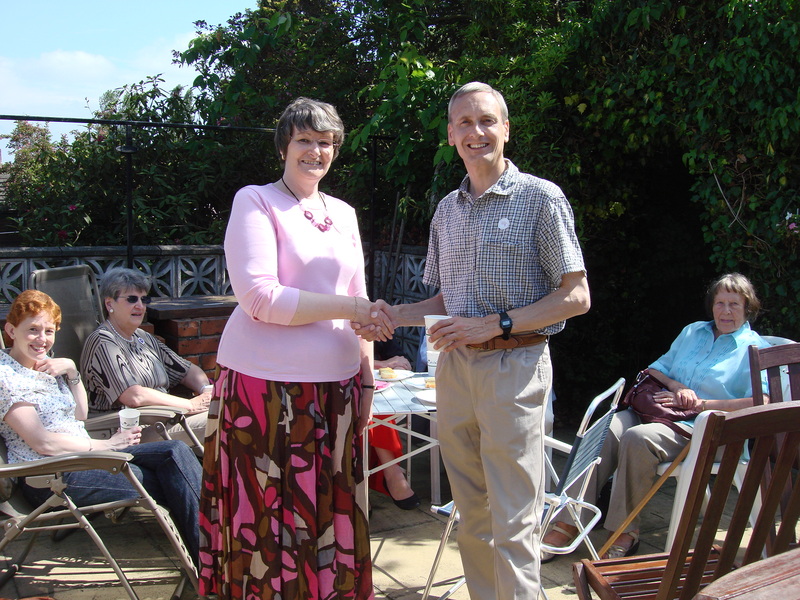 The event was held in order to raise funds for the charity Breast Cancer Care. More details about this charity which supports those affected by breast cancer can be found here.